To us, a great teamwork is everything. We realize that none of CPG's success could have been achieved if we don't have the right people in the right place. That is why we also handpicked our people. We chose only the best men and woman in the business, because we are determined to offer excellent and satisfiying services for all our clients. That also means, our people will not stop working until your needs are fulfilled. That is how we are to all our clients. And that is what you will find out about us. Hence, Centurion Property Group is more than delighted to present our excellent team of personal consultants with years of professional experiences in property investing, who strive to earn our client's satisfaction on each property chosen, as well as provide a pleasant investing experience with full comprehension. 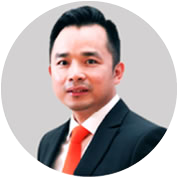 As the CEO and Founder of Centurion International Holding, David is the brain of the company. 15 years of real estate and construction experience has given him a massive knowledge in property investment and all its related areas. David collected his experience while he was working for some of the finest property developers in Australia, including Mirvac and Stockland. He is a strategic thinker, a true expert in his respective fields, a stellar example and an inspiring leader. Dewi started her involvement at Centurion International Holding by managing the day-to-day operation of branding and marketing division at Centurion Property Group. 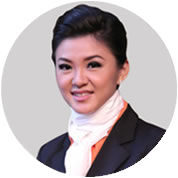 For the past 5 years she has been the business development director of Centurion Property Group. 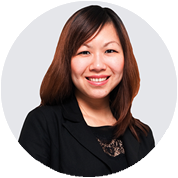 She now oversees and coordinates all aspects of CIH operations throughout Australia, Indonesia, China, and Malaysia. Spending more than 6 years in Melbourne for living, studying and working made Nathan experienced the Australian cultures and life styles. Graduated from Swinburne University of Technology and Melbourne School of Art gave him understanding about Australian education system deeply. His passion in real estate leads him to join CPG. 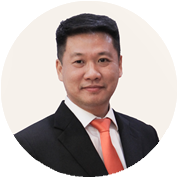 His goal is to deliver the right information about investing Australian property to the clients which suitable with their needs.